Language is part of a person's character. Language is part of your character - and in my case, I absolutely would not know how to live without it. My passion for the english language already manifested during my school years , so that I dedicated my free time to perfecting what we were taught in class. 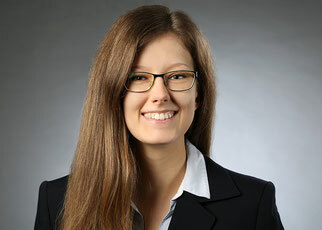 For my B.A., I chose to study Applied Linguistics, Cultural Studies and Translation in Germersheim, Germany in 2012 and continued my studies in the M.A. Literary Translation at the Heinrich Heine-Universität in Düsseldorf, Germany. 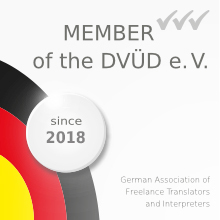 As of September 2018, I am am member of DVÜD e.V. You can find the profile here. While texts do consist of words, they are also always so much more than that! When translating, it is my absolute priority to not only transfer words from one language to another, but also to recognize cultures, characters and moods and transfer them into the source language. To make sure that both your and my standards are met, I work throroughly and professionally. Would you like to have a text translated or proofread by me? Please do not hesitate to contact me.